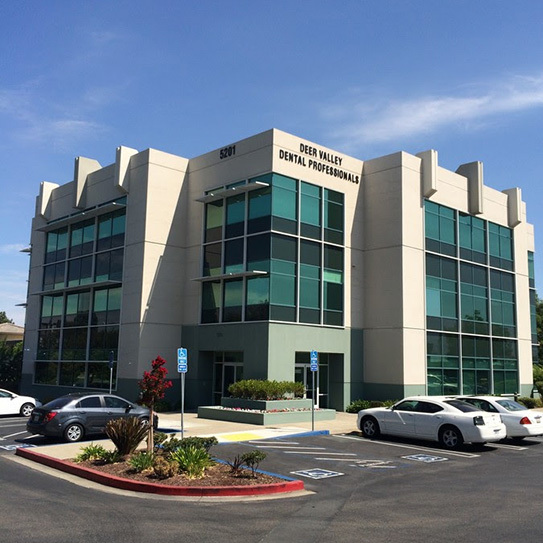 GORCZYCA ORTHODONTICS IS located in the Deer Valley Dental Professionals Building, at 5201 Deer Valley Road, in Antioch, California, right next to Deer Valley High School. From Highway 4, take the Hillcrest Exit and continue right until you cross Lone Tree Way. After crossing Lone Tree Way, take the second entrance on the left at the Miranda stop light. Turn left and proceed right to the square, three-story building nextdoor to the Antioch Veterinary Hospital. Gorczyca Orthodontics is located on the first floor, right at the main entrance. 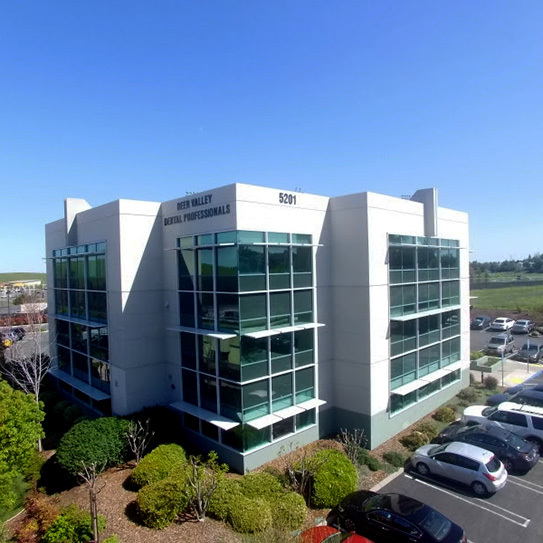 Our centralized location and easy Highway 4 access makes us easily accessible to serving all of East Contra Costa County including Antioch, Oakley, Brentwood, Pittsburg, Discovery Bay, Concord, and Rio Vista. We are a one-doctor, one-location orthodontic practice, so you will always find us here, Monday through Friday, 8:00 a.m. to 6:00 p.m.
We offer all orthodontic services, including all types of braces, Phase I, Phase II, Comprehensive, and Invisalgin treatment, clear aligners, Inman retainers, short term braces, retainers, splints, night guards, mouth guards, as well as orthognathic surgery (jaw surgery) and TMD (TMJ) and sleep apnea treatment. We have patients throughout the Bay area. Because we offer exceptional specialty services in the area of orthognathic surgery, many patients drive several hours to receive treatment in our office. We also work very closely with other dental specialists in providing Interdisciplinary Adult Orthodontic Treatment, which may need implants, periodontal therapy, or crowns, veneers, or bridges. We provide diagnostic wax-ups of comprehensive cases and help coordinate your overall treatment with other dental providers. Our orthodontist, Dr. Ann Marie Gorczyca, is a board certified orthodontist with 30 years of experience. She has personally treated over 10,000 successful cases. She is a frequent orthodontic lecturer at both the University of the Pacific Dental School, UCSF and the American Association of Orthodontists Annual Sessions, and is a member of the Angle Society, Delta Study Club (Seattle Study Club), and Contra Costa Dental Society. Come See Us For Your Free Consultation! We welcome you to visit our office for a free orthodontic consultation. Call us at 925-757-9000. It would be our pleasure to serve you. Learn more about us at www.clubbraces.com. DOES YOUR CHILD have loud snoring and multiple pauses in breathing while asleep? 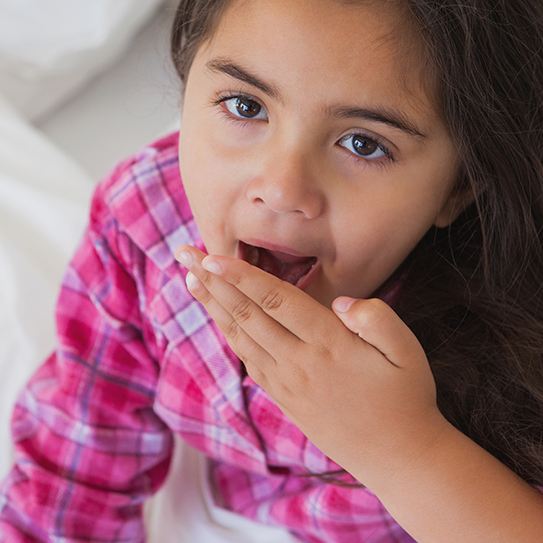 If yes, your child my have sleep apnea caused by airway obstruction during sleeping. 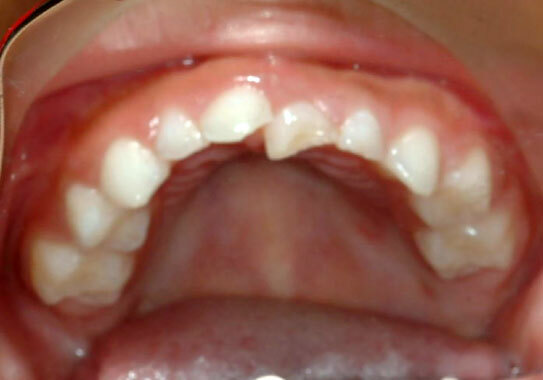 Sleep apnea is often caused by a small lower jaw. This cause can be corrected by an orthodontist and an oral surgeon working with your sleep study team to eliminate sleep apnea. 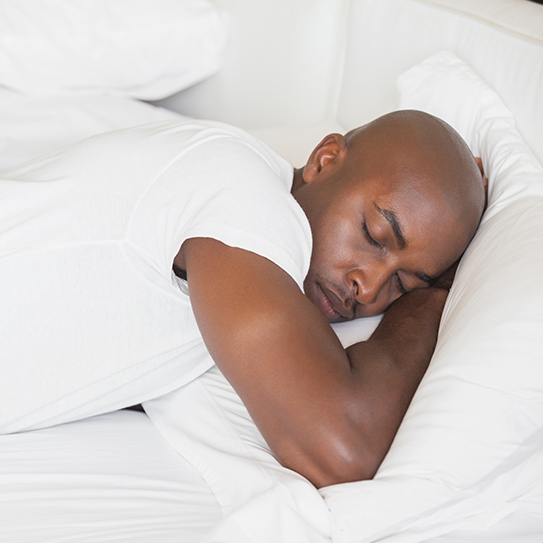 Sleep disruption leads to daytime sleepiness. Children with sleep apnea may appear drowsy, irritable, or have difficulty staying awake or learning at school. This is a serious medical problem and warrants diagnosis and treatment by a qualified physician and sleep disorder team. A consultation with an orthodontist is critical and a sleep study of an overnight polysomnogram be needed to record the severity and number of sleep apnea episodes. 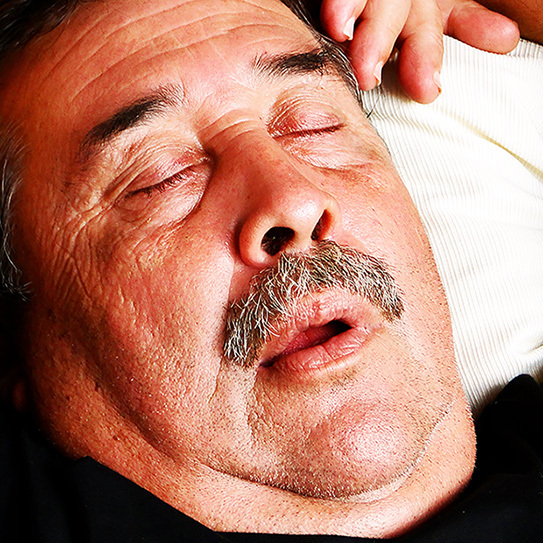 Osseous distraction, or lengthening of the lower jaw, is often a cure for severe sleep apnea. 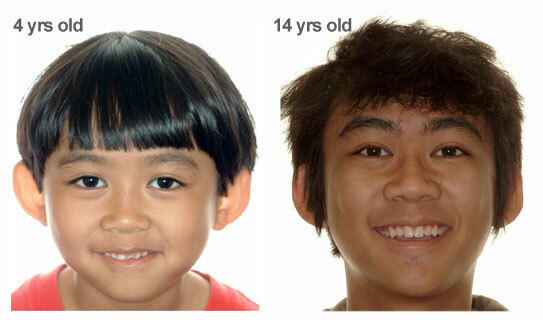 Ask your orthodontist or oral surgeon about this cure. 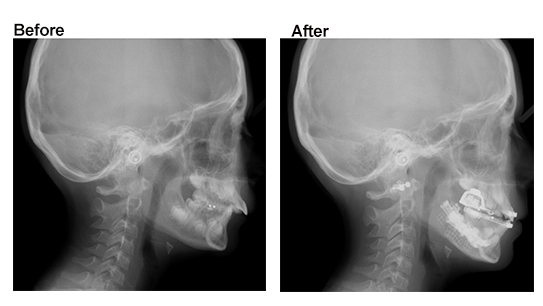 Permanent lengthening of the lower jaw will restore proper airway and bite function, make your child look and feel great, and be a cure for sleep apnea. 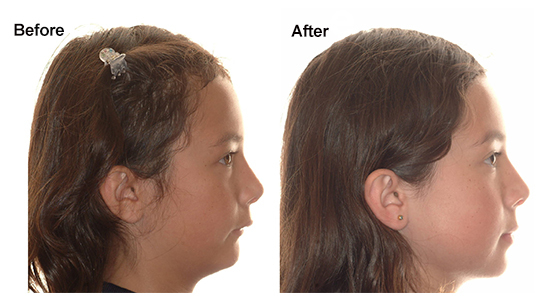 Your orthodontist and oral surgeon can correct your child's small lower jaw and cure their sleep apnea forever. 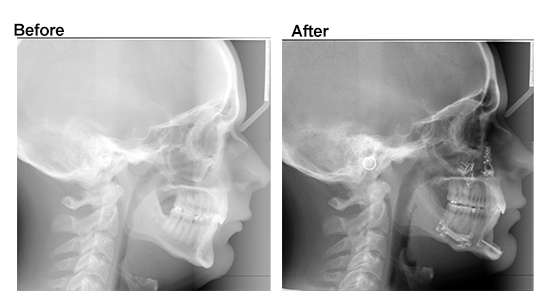 A custom oral appliance is only for mild to moderate cases and is not a permanent cure. A CPAP machine is cumbersome and difficult to wear, especially for children. This sleep apnea case was cured by orthodontist Dr. Ann Marie Gorczyca and the sleep apnea team of Gorczyca Orthodontics in Antioch, CA. Find us at www.clubbraces.com. To find an orthodontist near you, visit the American Association of Orthodontists at www.mylifemysmile.org. 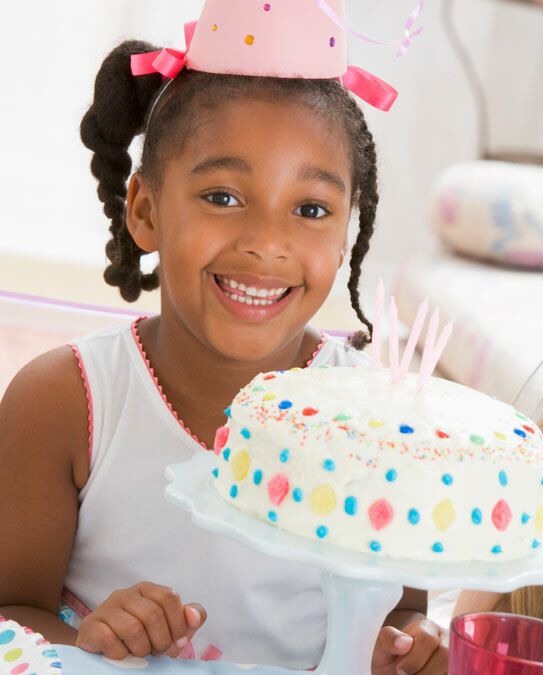 Eliminate your child's sleep apnea. 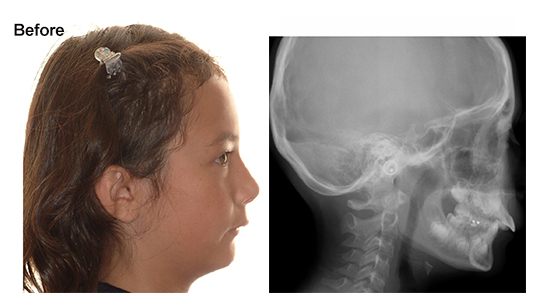 Osseous distraction for mandibular deficiency, small lower jaw, is a permanent cure. Wishing you and your loved ones a good night's sleep.